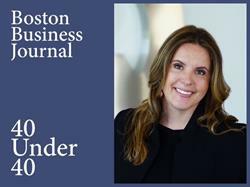 WAKEFIELD, MA--(Marketwired - September 28, 2016) - Vestmark is pleased to announce that its Chief Financial Officer, Tiffany Freitas, is an honoree of the Boston Business Journal's 2016 40 Under 40 list. This award recognizes Freitas' strong leadership and positive contributions to Vestmark and her local community. "We're thrilled that the Boston Business Journal has recognized Tiffany for her remarkable corporate and community leadership roles," said John Lunny, CEO of Vestmark. "Tiffany is the embodiment of what the 40 Under 40 award stands for. Her positive energy, strategic vision, and unwavering commitment to Vestmark have made a tremendous impact to our workplace." 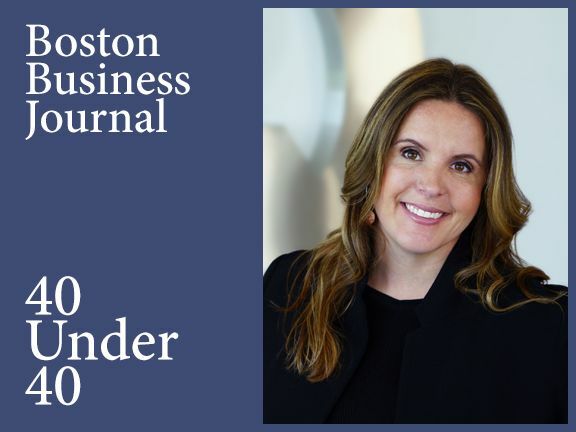 Each year, the Boston Business Journal recognizes 40 accomplished leaders under the age of 40 who make a significant impact on Massachusetts as a result of their professional and community contributions. This year's Boston Business Journal 40 Under 40 honorees are all young and extremely talented professionals. As a group, they represent a wide variety of business industries in the for-profit, nonprofit and government sectors. As individuals, they are the definition of overachievers -- each already making a significant, positive impact on Massachusetts as a result of their professional and community contributions. The 40 recipients were narrowed down from over 300 nominations and will be honored at an evening ceremony in late October.